W.S. Merwin (born 1927) won the Pulitzer for his book The Shadow of Sirius. He is serving currently as U.S. Poet Laureate. Other Pulitzer finalists in 2009 were Ruth Stone (born 1915) for her book What Love Comes To: New & Selected Poems and Frank Bidart (born 1939) for his book Watching the Spring Festival. The caption of this Sept. 21, 1942 article reads: William Merwin, fifteen, son of Dr. and Mrs. William S. Merwin of 1115 Washburn Street will be made an eagle scout at the morning service of the Washburn Street Presbyterian Church of which his father is pastor, Sunday, Sept. 27, when the badge of an eagle scout will awarded him by Col. E.H. Ripple. Scout Merwin will appear at a public session of the Court of Honor of the Scranton Council Friday, Sept. 25, at the Technical High School when he will be examined. He is a member of Troop No. 11 of the Washburn Street Church of which Russell Rome is scoutmaster. He is a graduate of the Sophomore Class, West Scranton Junior High School and last term was awarded a bronze medal for extra curriculum and leadership. He is now a junior at Wyoming Seminary, Kingston. The candidate was outstanding at the Boy Scout camp at Goose Pond during the past Summer having been appointed an instructor and passed the proficiency tests as a life guard. He also made a fifty-mile hike. He will be the first eagle scout in his troop under the leadership of Mr. Rome. All the new thinking is about loss. In this it resembles all the old thinking. a word is elegy to what it signifies. called pumpkinseed. It hardly had to do with her. of endless distances. I must have been the same to her. the saffron swirls of the quivering heavens. each bruised breath of his eloquent singing. but the intimacy of his small voice was surprising. silently moving, his black eyes deliquescent. what he was saying was too important. 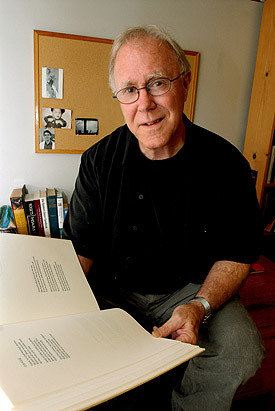 The 2008 Pulitzer Prize in Poetry was awarded to both Robert Hass (born 1941) for his book Time and Materials and Philip Schultz (born 1945) for his book Failure. Hass served as U.S. Poet Laureate from 1995 to 1997. Ellen Bryant Voigt (born 1943) was also a Pulitzer finalist in 2008 for her book Messenger: New and Selected Poems, 1976-2006. 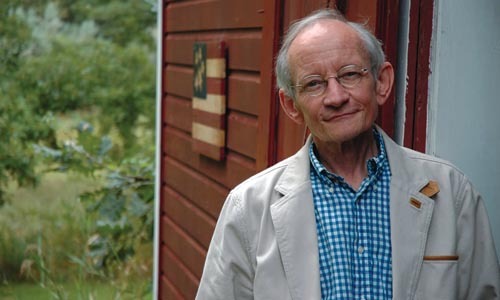 Ted Kooser (born 1939) won the Pulitzer for his book Delights & Shadows. He served as U.S. Poet Laureate from 2004 to 2006. 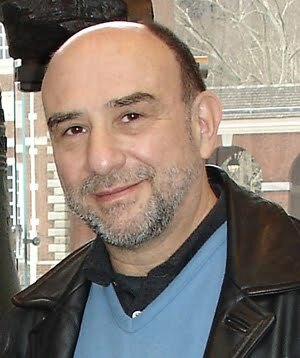 Other Pulitzer finalists in 2005 were William Matthews for his book Search Party: Collected Poems and Brigit Pegeen Kelly for her book The Orchard. 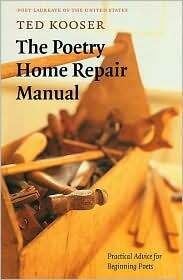 The following poem is from Kooser’s book Delights & Shadows and the excerpt is from his book The Poetry Home Repair Manual, Practical Advice for Beginning Poets, published in 2005.
it calls out again and again. A Career As A Poet? You’ll never be able to make a living writing poems. We’d better get this money business out of the way before we go any further. I don’t want you to have any illusions. You might make a living as a teacher of poetry writing or as a lecturer about poetry, but writing poems won’t go very far toward paying your electric bill. A poem published in one of the very best literary magazines in the country might net you a check for enough money to buy half a sack of groceries. The chances are much better that all you’ll receive, beside the pleasure of seeing your poem in print, are a couple of copies of the magazine, one to keep and one to show to your mother. You might get a letter or postcard from a grateful reader, always a delightful surprise. But look at it this way: Any activity that’s worth lots of money, like professional basketball, comes with rules pinned all over it. In poetry, the only rules thinking about are the standards of perfection you set for yourself. There’s no money in poetry because most of my neighbors, and most of yours, don’t have any use for it. If, at a neighborhood yard sale, you happened to find the original handwritten manuscript of T.S. Eliot’s The Waste Land, you could take it to every quick shop in the city and you wouldn’t find a single person who would trade you ten gallons of gas for it. Part of the reason for our country’s lack of interest in poetry is that most of us learned in school that finding the meaning of a poem is way too much work, like cracking a walnut and digging out the meat. Most readers have plenty to do that’s far more interesting that puzzling over poems. I’ll venture that 99 percent of the people who read the New Yorker prefer the cartoons to the poems. A lot of resistance to poetry is to be blamed on poets. Some go out of their way to make their poems difficult if not downright discouraging. That may be because difficult poems are what they think they’re expected to write to advance their careers. They know it’s the professional interpreters of poetry — book reviewers and literary critics — who most often establish a poet’s reputation, and that those interpreters are attracted to poems that offer opportunities to show off their skills at interpretation…. My teacher and mentor, Karl Shapiro, once pointed out that the poetry of twentieth century was the first poetry that had to be taught. He might have said that had to be explained. I believe with all my heart that it’s a virtue to show our appreciation for readers by writing with kindness, generosity, and humility toward them…. One other point: Isaac Newton attributed his accomplishments to standing on the shoulders of giants. He meant great thinkers who had gone before. Accordingly, beginning poets sometimes start off trying to stand on the shoulders of famous poets, imitating the difficult and obscure poems those successful poets have published. That’s understandable, but they soon learn that, somehow, no literary journal is interested in publishing their difficult poems. If these beginners were to study the careers of the famous poets upon whose work they’re modeling their own, they’d find that those writers were often, in their early careers, publishing clear, understandable poems. In most instances, only after establishing reputations could they go on to write in more challenging ways. In a sense they earned the right to do so by first attracting an audience of readers, editors, and publishers with less difficult poems. And should remain empty. That was the idea. by Mark Strand (born 1934). He won the Pulitzer for his book Blizzard of One. Other Pulitzer finalists in 1999 were Alice Notley for her book Mysteries of Small Houses and Frederick Seidel for his book Going Fast. On July 1, William Stanley Merwin (born 1927) became the country’s 17th poet laureate. 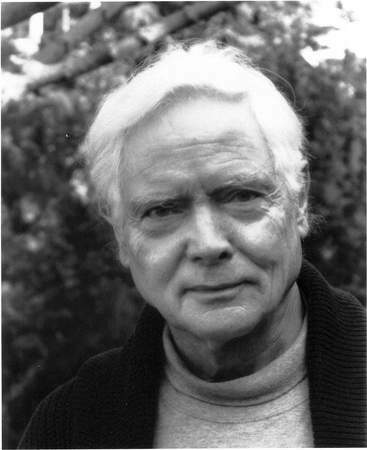 Merwin has published more than 30 books of poetry, translation and prose and won two Pulitzer prizes for The Shadow of Sirius in 2009 and for The Lice in 1971, as well as the National Book Award in 2005 for Migration: New and Selected Poems. Since 1976, he has lived on a former pineapple plantation on the northeast coast of Maui and cultivated more than 700 endangered species of indigenous plants, including a palm tree he helped save from extinction.